Protecting your data is a major priority for TeamSupport. This is why we offer an optional Two Step Verification for authenticating users. When enabled, this will utilize your user’s cell phones to provide a second layer of security for their accounts. 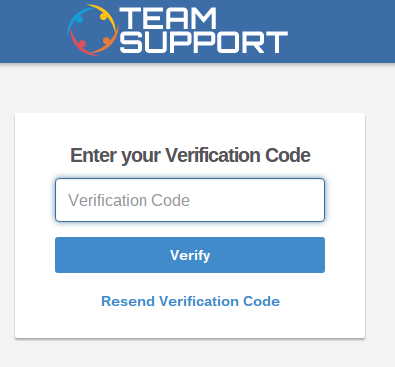 When a user logs into TeamSupport from a computer that we don’t recognize, we will send them a text message with an authentication code they will have to use in addition to their password. 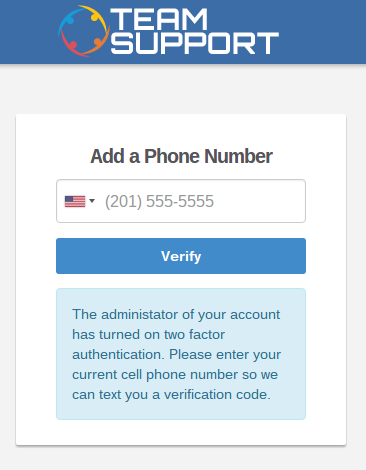 Browse to Admin->My Company-> “Two Step Verification”. The default is False, and setting this to True will enable this feature. The cell phone number that was inputted by the user will be stored in their User Settings. Administrators can change this phone number at any time should the cell phone number be entered incorrectly, or if there is a change in cell phone number.